Recevoir les chaînes Anglaises sans parabole est désormais possible ! Box TV c'est plus de 57 chaines Anglaises, il vous permettra l'accès à la BBC one, BBC Two, CBBC ...via internet, en qualité HD, disponibles en moins de 5 mn dans votre salon ! 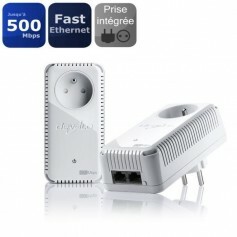 Vous ne recevez plus les chaînes de FREESAT depuis le passage à Astra2, vous habitez en appartement et / ou vous ne pouvez pas installer d'antenne parabolique pour recevoir vos chaînes préférées mais vous disposez d'un accès internet ADSL (mini 2 Mbps), alors BOX TV est la solution pour vous ! Listes des Chaînes Box Tv "Freeview"
BBC OneChannel: 1 (24 hours) BBC One offers something of value for everyone with a range of high-quality, popular programming for a modern UK audience. BBC TwoChannel: 2 (24 hours) BBC Two prides itself on a rich mix of innovative, entertaining and challenging programmes, including documentaries, the arts, current affairs, comedy, drama and history. ITVChannel: 3 (24 hours) The heart of popular culture. Channel 4Channel: 4 (24 hours) Award-winning comedy, groundbreaking documentaries, distinctive drama and entertainment with an edge. S4CChannel: 4 (24 hours) S4C digidol is S4C's lively, dynamic digital channel dedicated to Wales and all things Welsh. Channel 5Channel: 5 (24 hours) Channel 5 features programming as diverse as the CSI franchise, The Wright Stuff, Neighbours, Extraordinary People and Milkshake! ITV2Channel: 6 (24 hours) Life’s pretty straight without ITV2! BBC ThreeChannel: 7 (19:00 - 05:30) BBC is an innovative mixed schedule of news, current affairs, education, music, arts, science and coverage of international issues, as well as drama, comedy and entertainment. BBC AlbaChannel: 8 (17:00-00:00 Mon-Fri, 16:00-01:00 Sat and 16:00-00:00 on Sun) A digital TV channel, available in Scotland, broadcasting Gaelic programmes daily. Programming includes news, Scottish sport, music, factual, children’s and entertainment programmes. BBC FourChannel: 9 (19:00 - 04:00) BBC4 brings viewers an alternative and wonderful mix of culture, arts, world cinema, science, history, business and current affairs. ITV3Channel: 10 (24 hours) Crafted drama collections from ITV. PickChannel: 11 (24 hours) Pick offers a compelling mix of general entertainment – from quality drama and documentaries to lifestyle and factual entertainment programming. DaveChannel: 12 (07:00 - 03:00) Dave features top quiz shows and cult comedies, including QI, Top Gear and Never Mind The Buzzcocks. Dave is 'the home of witty banter'. Channel 4+1Channel: 13 (24 hours) The same as Channel 4 only one hour later, so you don't miss out. Award-winning comedy, groundbreaking documentaries, distinctive drama and entertainment with an edge. More4Channel: 14 (09:00 - 04:30) Lifestyle, documentaries and US drama, from brand new programmes to the best of Channel 4. Film4Channel: 15 (11:00 - 04:00) The best of British film-making, US independents, Hollywood blockbusters, guilty pleasures, foreign films and cult. QVCChannel: 16 (24 hours) QVC is the UK's leading TV shopping channel, making shopping easy, 24 hours a day, 7 days a week. Tune in for the best advice available from experts in the world of beauty, DIY, fashion and electrical. ReallyChannel: 17 (08:00 - 01:49) Really is the UK’s leading lifestyle TV channel, providing a tantalising cocktail of honest and entertaining television. 4MusicChannel: 18 (24 hours) The ultimate in music TV, bringing you closer to the music you love with the hottest stars and the biggest charts, plus gut-busting comedy and jaw-dropping reality shows. It’s music and then some. YesterdayChannel: 19 (06:00 - 03:00) Yesterday is a place where the past is always present. On this channel the past will be evoked in a way that is more vivid and relevant to viewers than ever before. DramaChannel: 20 (08:00 - 02:00) Drama airs a diverse range of critically-acclaimed British dramas featuring stellar talent, many of whom have gone on to join Hollywood’s elite. Watch the trailer to see what to expect on Drama. VIVAChannel: 21 (24 hours) A unique mix of award-winning comedy, the best in rock and pop and fabulous new programming, VIVA is the exciting new channel from MTV. Ideal WorldChannel: 22 (24 hours) Broadcasting 24 hours each day, Ideal World brings you a vast range of goods from fashion, jewellery, gardening, health & beauty and housewares. Bid TVChannel: 23 (24 hours) For fast, fun, interactive TV auctions, tune into bid tv and bid for bargains from a fantastic range of branded goods. ITV4Channel: 24 (24 hours) A haven of sport and cult classics from ITV. ITV2+1Channel: 27 (24 hours) Catch up on ITV2 one hour later. E4Channel: 28 (24 hours) Telly with attitude, stuffed to bursting with comedy, drama, US imports, reality shows and plenty fun times. E4+1Channel: 29 (24 hours) Catch up on E4 one hour later. Telly with attitude, stuffed to bursting with comedy, drama, US imports, reality shows and plenty fun times. 5 StarChannel: 30 (09:00 - 12:00) 5 star is an entertainment channel for people who like their drama sexier, their documentaries harder, their movies bigger and their soaps soapier. 5 USAChannel: 31 (12:00 - 01:00) 5 USA reflects the energy, pulse and guts of the USA’s great cities. 5 USA will be showcasing the best of American TV including The Beast, acclaimed comedy 30 Rock and The Shield. Movie MixChannel: 32 (24 hours) Movie Mix is the home of a broad range of movie entertainment and quality drama series from the UK and US, broadcasting in the UK on Freeview Channel 32. ITV+1Channel: 33 (24 hours) Catch up on ITV one hour later. ITV3+1Channel: 34 (18:00 - 00:00) Catch up on ITV3 one hour later. QVC BeautyChannel: 35 (08:00 - 13:00) QVC Beauty is a TV channel dedicated to premium beauty brands and beauty advice. Broadcasts feature QVC’s extensive range of salon and prestige skincare, cosmetic and haircare brands. Create and CraftChannel: 36 (08:00 - 18:00) Create and Craft is devoted to a range of craft pursuits, including card making, drawing, needlecraft, embroidery and decoupage. Price Drop TVChannel: 37 (08:00 - 00:00) Grab a bargain from the comfort of your own home with price-drop tv. 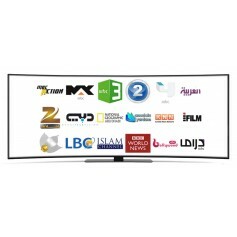 Price Drop TV has the added bonus of being able to demonstrate how each product works, giving you all the details you need. QuestChannel: 38 (24 hours) Quest brings you TV at the Heart of the Action and the programming will be a high-octane mix of quality drama, outdoor adventure series, documentary series and user-generated video clip shows. The StoreChannel: 39 (00:00 - 04:00) The Store is a teleshopping channel with a mix of retail teleshopping content focused on beauty, health and homeware products. The channel also features live teleshopping gaming content from Netplay TV under the programme brand Jackpot247. Rocks & CoChannel: 40 (13:00 - 18:00) Rocks & Co. is a falling auction shopping channel that specialises in high end jewellery and precious gemstones. The team includes internationally renowned gemstone experts and jewellery designers. Food NetworkChannel: 41 (24 hours) Food Network UK brings a fresh perspective to the UK food scene by offering an irresistible combination of credible cooking, new ideas and high-energy lifestyle entertainment. Travel ChannelChannel: 42 (18:00 - 22:00) Travel Channel is the world’s leading travel-themed entertainment channel. Through the engaging storytelling and unique perspectives of our presenters we transport viewers to every corner of the globe. Our shows inspire, inform and entertain and tap into the human desire to experience new things, explore new places and engage with fascinating people and cultures. Gems TVChannel: 43 (24 hours) Gems TV is a family owned jeweller that specialises in creating exquisite fine jewellery with gemstones uncovered from some of the remotest locations on earth. Channel 5+1Channel: 44 (24 hours) Channel 5+1 means you never need miss such great shows as Celebrity Big Brother, Neighbours the CSI franchise, The Gadget Show and some great sport! Film4+1Channel: 45 (24 hours) Keep missing your favourite films on Film 4? Film 4 +1 is now available on Freeview. Giving you another chance to catch the best of British film-making, US indies, Hollywood blockbusters, guilty pleasures and cult classics. ChallengeChannel: 46 (24 hours) Challenge is the home of ‘contest’. It offers cult shows, world famous quiz formats, innovative new game shows and superb TNA Impact Wrestling action. From original UK commissioned content to iconic classic shows from the past, there's something for everyone. 4sevenChannel: 47 (See description) Your chance to catch up with Channel 4’s most popular and talked-about shows from the last seven days. Jewellery ChannelChannel: 49 (24 hours) The Jewellery Channel (TJC) boasts a personal shopping service that offers friendly and professional advice so customers get the most out of their Jewellery shopping experience. Channel 5 +24Channel: 55 (19:00 - 00:00) Channel 5 +24 is Channel 5's new catch-up channel. It will show the previous day's Channel 5 primetime programmes from 7pm until midnight each day. Quest+1Channel: 57 (24 hours) Catch up on Quest one hour later. Quest brings you TV at the Heart of the Action and the programming will be a high-octane mix of quality drama, outdoor adventure series, documentary series and user-generated video clip shows. True EntertainmentChannel: 61 (06:00 - 03:00) True Entertainment is the home of classic series, powerful true stories, dramas based on bestselling novels and heart-warming movies. With an exciting mix of programming its all the entertainment you need in one place. Community ChannelChannel: 63 (02:00 - 08:00) Community Channel is the only TV station totally dedicated to highlighting issues from both local and international communities as well as the voluntary and charitable sectors. Programmes like What Can Science Do for Me?, films produced through the Volunteer Filmmaking scheme, Spotting Cancer Early and Mad for Dance showcase the people that go the extra mile every day. CBBCChannel: 70 (07:00 - 19:00) Offering a broad mix of drama, entertainment, news and factual shows, CBBC is the exciting digital channel for 6 -12 year olds. CBeebiesChannel: 71 (06:00 - 19:00) CBeebies is dedicated to preschoolers. Packed full of their favourite characters, CBeebies offers 13 hours of programmes every day which encourage your child to play along and learn. CITVChannel: 72 (06:00 - 18:00) Wickedly playful kids stuff from ITV. BBC NewsChannel: 80 (24 hours) The BBC's continuous news channel, breaking stories as they happen, with the latest news, weather, sport and business updates 24 hours a day seven days a week. BBC ParliamentChannel: 81 (24 hours) The UK’s prime political channel - unedited coverage of the House of Commons, House of Lords and Select Committees in Westminster. Sky NewsChannel: 82 (24 hours) Breaking news 24 hours a day, 7 days a week. And a whole lot more. Sky News has been voted News Channel of the Year, and it keeps getting better. Al Jazeera EnglishChannel: 83 (24 hours) Al Jazeera English is international news that takes you to the heart of the story, with in depth news and analysis from around the globe. RTChannel: 85 (24 hours) RT offers regular news updates and a unique insight into many aspects of Russian history, culture and opinions. Estuary TV is only available in Grimsby and parts of North Lincolnshire and East Yorkshire. Please check your coverage in your area here. Estuary TVChannel: 8 (shut down daily at 12 am) Estuary is a commercial public service broadcaster and will provide local news every day, combined with a varied schedule including current affairs, business, environmental, historical, documentary, films and entertainment programming. BBC Red ButtonChannel: 200 (24 hours) Press the red button on your remote at any time to enter the world of BBC Red Button. Holidays TVChannel: 201 (24 hours) Holidays TV is a new channel from the broadcast division of the Daily Mail Group. It’s the perfect place to find great value last minute holidays, from the comfort of your armchair. BBC Red ButtonChannel: 301 (24 hours) Press the red button on your remote at any time to enter the world of BBC Red Button. BBC Radio 1Channel: 700 (24 hours) BBC Radio 1 takes you through your day - playing the best new music, with exclusive interviews, live bands and unprecedented access to the stars. BBC 1XtraChannel: 701 (24 hours) The hottest new black music. From RnB to Drum & Bass, Hip Hop to Dancehall and Garage - and loads in between. BBC Radio 2Channel: 702 (24 hours) BBC Radio 2 combines popular music and culture with a diverse range of specialist music, features, documentaries, light entertainment and live and exclusive recordings. BBC Radio 3Channel: 703 (24 hours) BBC Radio 3 is the home of live music and the arts. We offer classical music, world music, jazz, Broadway and film music, drama, the arts and ideas. BBC Radio 4Channel: 704 (24 hours) BBC Radio 4 offers a unique range of programmes to inspire and entertain you. From current affairs to award winning comedy every week and captivating drama. BBC R5 LiveChannel: 705 (24 hours) Dedicated to giving you live commentary on news and sport. Exclusive rights on the all the major sports including the Premiership, and up to the minute news and debate. BBC R5SXChannel: 706 (24 hours) BBC Five Live Sports Extra is dedicated to pure live sport - the digital home of cricket and rugby, plus extra commentary of football, F1, and tennis. BBC 6 MusicChannel: 707 (24 hours) BBC Radio 6 Music celebrates the very best in music. It's a station for people who are passionate about rock and pop music. BBC R4 ExtraChannel: 708 (24 hours) BBC Radio 4 Extra offers pure radio entertainment all day, every day. Hear original radio comedies which became TV hits, alongside comedy classics and the best names on the stand-up scene. BBC Radio AsianChannel: 709 (24 hours) The BBC Asian Network brings you the latest news, sport and issues from a British Asian perspective, with the sounds of current Bollywood hits and the best in British Asian music. BBC WorldChannel: 710 (24 hours) BBC World Service is the award-winning broadcaster which gets to the heart of global events. Programmes cover news to science and the environment to arts, religion and music of all kinds. The Hits RadioChannel: 711 (24 hours) Playing the biggest hits right now across the UK. KissChannel: 713 (24 hours) A fun-loving station dedicated to the UK's young party people. Playing rhythmic driven music - Urban and Dance. MagicChannel: 715 (24 hours) Magic plays more music, less talk twenty four hours a day. Core artists include Elton John, Dido, Will Young, Stevie Wonder and George Michael. This is feel good radio for all ages. HeatChannel: 716 (24 hours) A non-stop mix of music that makes you want to get up in the morning - or stay out late at night. Smooth RadioChannel: 718 (24 hours) Smooth Radio loves life and loves music, just the way you do. Join Simon Bates, Mark Goodier, David ‘Kid’ Jensen, Andy Peebles, Pat Sharp and Emma B for the greatest soulful sounds. Kerrang!Channel: 722 (24 hours) Playing music with attitude - Red Hot Chilli Peppers, The Foo Fighters, Kasabian, Kaiser Chiefs, Greenday, Muse, Beastie Boys and HARD-Fi ...... get it all at Kerrang! talkSPORTChannel: 723 (24 hours) talkSPORT tackles all the big sporting issues with an energy, humour and opinion you won't find anywhere else on the dial! Capital FMChannel: 724 (24 hours) Capital FM offers the very best Hit Music, the hottest showbiz & artist interviews, massive money-can’t-buy competitions, up-to-date local news and traffic & travel throughout the day. Premier RadioChannel: 725 (24 hours) Premier Christian Radio brings you inspirational teachings and debate, Christian and Gospel music and the latest news from a Christian perspective. U105Channel: 726 (24 hours) U105 is a Belfast based radio station, providing a mix of music and speech as well as hourly news bulletins. Absolute RadioChannel: 727 (24 hours) Discover Real Music. Absolute Radio guarantees to help you rediscover more music than any other station. HeartChannel: 728 (24 hours) There's no better way to lift your mood than by tuning into Heart. From the Sugababes and Kelly Clarkson to Sister Sledge and Barry White, Heart plays music that's guaranteed to make you feel good.